A comedy-drama about two baristas who must save the independent cafe they work in -- a bilingual community hub in Sherbrooke, Quebec -- from being turned into a Starbucks. Issie Patterson is a writer and musician from Toronto. Her plays have been performed in Halifax, Nova Scotia and here in Vancouver. She has been an English teacher in a village in northern France, an adventure guide in the mountains of Whistler, a facilitator at a bilingual kids' camp in rural Nova Scotia, and now finds herself writing, biking, and tour-guiding in Vancouver. Madelaine has been directing for a little over a year on shows such at Bedtime and Night School with the UBC Players Club, Saturday's For the Boys with Brave New Play Rites, and Inside the Box with the IGNITE! Youth Festival. She looks forward to pursuing her passion for directing, and in the meanwhile spends her time stage managing and playing Dungeons and Dragons. Born in the (blink and you miss it) small town of Sechelt on the Sunshine Coast, Kyle embraced larger than life worlds from day one to compensate for this. Having played a variety of roles on stage and screen,some of which include Juror 7 in 12 Angry Men, The American Males in A Piece of my Heart , and even Death a handful of times, he is well equipped. Kyle feels immensely honored to be part of the Cast-cadia of this festival and can hardly contain his excitement about what we've got in store for you. Elana Mabrito lives, works, and plays on the traditional, unceded, and ancestral territory of the Squamish, Musqueam and Tsleil-Waututh peoples. Outside of her writing practice, she is an active participant in the Vancouver theatre scene, where she works as an actor, director, and producer. Haris is an aspiring actor, aspiring physicist, and full time Chandler Bing enthusiast. While his interests lie in film, he has done several plays, notably Theory, as part of Rumble Theatre's Tremors Festival, Our Place in UBC Players' Festival Dionysia, Tomo Suru’s Carrots Baby, as part of their About Love festival, and Witch in the Woods in Brave New PlayRites. He has also dabbled in directing Night before Opening, for the UBC Players' Dionysia festival. Haris is always eager to work on new, exciting projects with talented individuals in film and theatre. 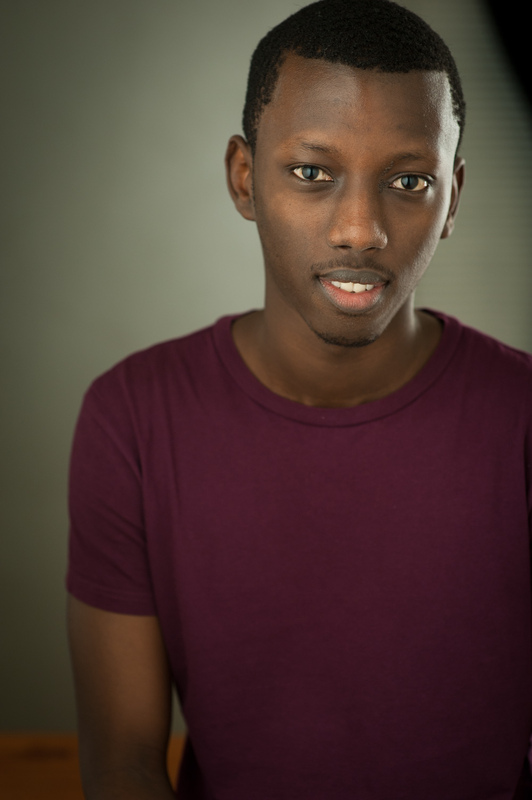 Gilles Nduwimana is a Burundian immigrant and came to Canada 6 years ago, landing first in Edmonton, but decided to move to Vancouver to pursue his dreams of being an actor. He attended Vancouver Film School for both Acting Essentials and Acting for Film and Television. He’s involved with two other theater production, "M.A.S.H." and "Welcome to the Moon". Anaïs Collin is an actress from Montreal who moved to Vancouver last year. She began acting at a young age and was always surrounded by actors in her family. She recently graduaded from the Vancouver Academy of Dramatic Arts. She is also grateful to be part of the cast. Nathan Smith is a writer/director who hails from the interior of British Columbia and grew up reading too many bad genre novels from the bargain paperback section of his local bookstore. He's currently in his third year of the MFA Creative Writing program at UBC and is excited to be lending his voice out for the stage.